The U of L Foundation board voted to give President James Ramsey a four percent raise to the portion of his salary that comes from ULF funds. 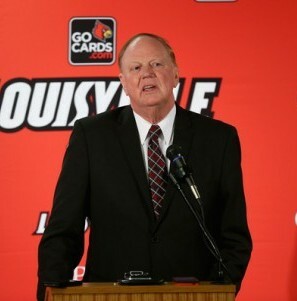 He was also awarded a 25 percent bonus based on his combined ULF and U of L salaries at their board meeting today. $281,070 of Ramsey’s $624 thousand salary comes from the privately-funded foundation. With the raise, his ULF salary will be $292,313, totaling to over $635 thousand. His bonus will be $156 thousand. Ramsey recently turned down a two percent salary increase coming from university funds at a Board of Trustees meeting in Paducah, Ky. Chairwoman Debbie Scoppechio cited Ramsey’s success in meeting 26 out of the board’s 28 goals for the year as the reason for the raise. Ramsey reviewed each of the goals for the board prior to the recommendation. The goals, part of the university’s 2020 Plan, followed five categories. The categories focus on educational experience, increasing research, engaging with the community, diversity and responsible stewardship. Out of the 28, only two goals were not achieved: enhancing national recognition and receiving at least 30 National Cancer Institute grants. 17 were exceeded. Exceeded goals included increasing the number of baccalaureate degrees awarded and the six-year graduation rate. According to Ramsey, the number of degrees awarded stands at 2,797. The six-year graduation rate is at 53.5 percent, up from 30.1 percent in 1998. Donations also increased in the year. Ramsey said that the university raised over $123.4 million in the past year, more than UK, NKU, WKU and Murray State combined. At the meeting, Ramsey also discussed highlights from the past year and upcoming events. Future events mentioned include the removal of the silos on Oct. 28 and road work on Floyd Street beginning in the fall semester.